Cars finally leaving cannonball elementary. #POTUS on the move. #PrezRezVisit . We're all ready. Dancers about to show some moves. 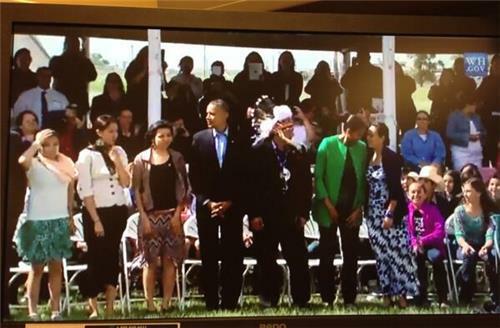 #prezrezvisit "Thank you for coming to our country" beautiful! RT "@deluxvivens : if you want to see native people use social media to do the job the actual press wont, follow #PrezRezVisit today." I really hope that @Matt_D_Cohen is following the #PrezRezVisit hashtag - POTUS is calling out the Washington Football Team. Lowkey,I'm pretty sure the MC stole the 'show'. #PrezRezVisit The chief of all chiefs is here. This song is rendered on behalf of all our ancestors. 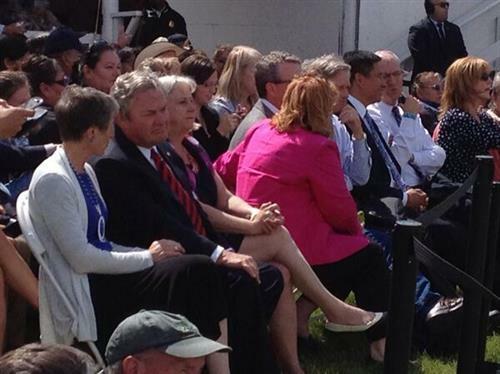 Loving this #PrezRezVisit twitter excitement and chat. Native pride and humor is the best! "Thank you for coming to our country!" announcer at #PrezRezVisit as Pres. Obama walks into #StandingRock arena. #PrezRezVisit Michelle looking stunning in green!